CoolSculpting® from Wilmington Plastic Surgery is a breakthrough, FDA-cleared and noninvasive procedure that gently and effectively reduces fat in problem areas of the body that tend to be diet and exercise resistant. This results in noticeable, natural-looking fat reduction in the treated areas for men and women. The CoolSmooth applicator is the most advanced solution for non-surgically reducing non-pinchable fat bulges, such as the outer thighs, the previously hard-to-treat inner thighs, and front belly fat. The longer cooling plates and flat non-vacuum design make the CoolSmooth applicator ideal for vertical sections of fat—including the areas commonly referred to as saddlebags or thunder thighs—so the entire thigh can be reduced and sculpted to a more pleasing shape. 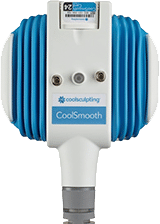 The CoolSmooth applicator’s comfortable design fits every individual patient, and the procedure, like other CoolSculpting treatments, is pain-free for nearly all patients. Results can be dramatic, and there have been no long-term adverse side effects of the treatment. Ask us if you’re a candidate for this remarkable procedure. Wilmington Plastic Surgery is excited to have added the technologically advanced CoolFit applicator to its arsenal of body sculpting tools. CoolFit's breakthrough engineering design enables treatment of more problem areas — including inner thighs, saddlebags and bra fat — allowing our physicians to customize a treatment plan for every patient. CoolSculpting is the only procedure that uses patented cooling technology that targets and eliminates only fat cells. Other treatment modalities, such as lasers, radio frequency and focused ultrasound, affect fat cells and may affect other adjacent tissue. Additionally, CoolSculpting produces an undeniable fat reduction in the area treated and does not require special diet and supplements. During the procedure, a noninvasive applicator delivers precisely controlled cooling to the treatment area to specifically target underlying fat, leaving surface skin tissue unaffected. When fat cells are exposed to extreme cold, a process of natural removal is triggered, which gradually reduces the thickness of the fat layer. The result is a visible reduction in fat bulges. Procedures last about one to two hours in the Wilmington Plastic Surgery office, so treatment can easily be performed during a lunch hour or without major disruption to the day. Patients can resume daily activities, including work and exercise, immediately following treatment. The results are dramatic. Each CoolSculpting procedure results in a clear reduction of fat in the treated areas, and patients can start to see results as soon as three weeks following treatment, with the most dramatic results occurring over a period of two to four months in most patients. Results are long-lasting and sustainable with a healthy lifestyle. 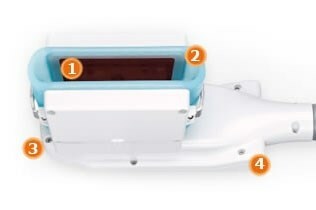 The CoolSculpting Procedure, developed by ZELTIQ,™ is based on sound science called cryolipolysis. The scientific principles of cryolipolysis were discovered by renowned dermatologists Dieter Manstein, MD, and R. Rox Anderson, MD, of the Wellman Center for Photomedicine at Massachusetts General Hospital in Boston, a teaching affiliate of Harvard Medical School. The physicians and their team conducted research which demonstrated that, under carefully controlled conditions, subcutaneous fat cells are naturally more vulnerable to the effects of cold than other surrounding tissue. These Harvard studies and other research confirmed that fat cells, when exposed to precisely controlled cooling for a sustained period of time, undergo a gradual reduction and cell death through a process called “induced apoptosis.” The dead fat cells are broken down and digested by the immune cells in the body. The fats themselves are naturally processed by the liver. CoolSculpting is safe because the delivery of precise cooling affects only targeted fat cells, leaving adjacent tissue unharmed and intact. It is FDA-cleared in the U.S. for non-invasive fat reduction in the flank (midsection).  Performed in Wilmington Plastic Surgery's office, the procedure allows patients to sit or lie comfortably and read, work on their laptop, or even nap during the procedure. While uncommon, a small percentage of patients may experience pain related to their treatment. In 100% of cases, pain has naturally subsided over time and there have been no long-term effects of treatment.